DÉJÀ VU, WIENER DOG EDITION! That's right, fans, more Wiener Dog Races! All dachshunds are eligible to compete in the Ice Bears most popular promotion of the season! In honor of the wienies running on the ice, hot dogs will be $1 OFF! GROUP RATE PRICING AVAILABLE FOR THE FAMILIES AND FRIENDS OF ALL CONTESTANTS! 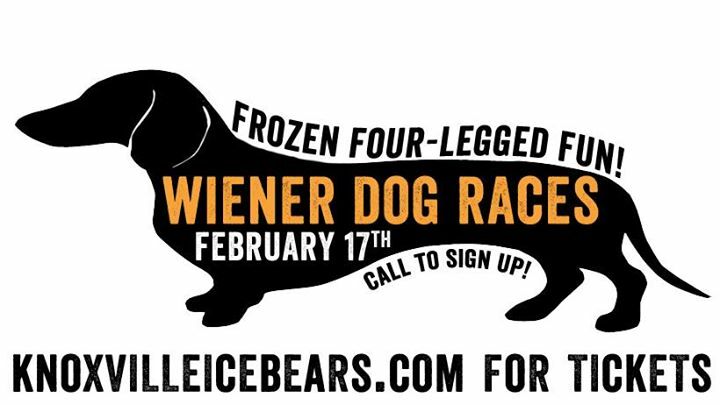 To reserve your tickets or register a wiener dog for the races, call the Ice Bears office at (865)525-PUCK!